With the snow melting away and the season right around the corner, we’re asking our team what their favourite GTA golf courses are. We have some pretty well-seasoned golfers who work here at Chronogolf, and we think their golf course taste is on point. Here’s our top recommendations for Toronto golf courses that should be on your radar this summer. This beautiful course is located a little bit north of Oakville and boasts all of the amenities of a world-class country club, including a 35,000 square foot clubhouse, pool, and fine dining restaurant. The course itself features two 18-hole courses CopperHead and the links-style SideWinder. For beginners, the course also has a 9-hole pitching course named the Rattler Academy Course. Each 18-hole course stretches past 7000 yards, elavating it to the professional tour level status. The course regularly plays host to PGA Championships and qualification matches for the RBC Canadian Open. To play the course you’ll need a ClubLink membership. However, last year the company began opening its private courses with “member for a day” passes, so watch for your chance to play this wonderful tournament level course. Lakeridge Links is premiere golfing for a reasonable price. Since the public golf course opened in 1989, it has built a reputation for “having a diverse mix of challenging holes while still maintaining a universal appeal to all golfers”, based on its website. The 6800-yard course provides a significant enough challenge for seasoned golfers, while still being accessible to those who play from the easier tee boxes. The course also features an elegant club house, suitable for weddings, corporate events, and banquets. The course is located only 40 minutes from downtown Toronto, north of Whitby. Cedar Brae is the perfect escape from the busy city. 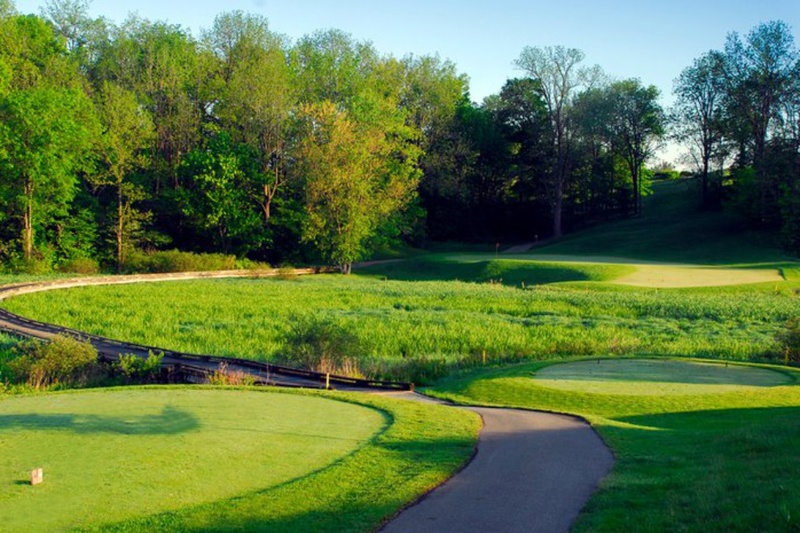 The picturesque course is adjacent to the Rouge River and features stunning natural beauty, rolling hills, lush forests, and babbling streams. 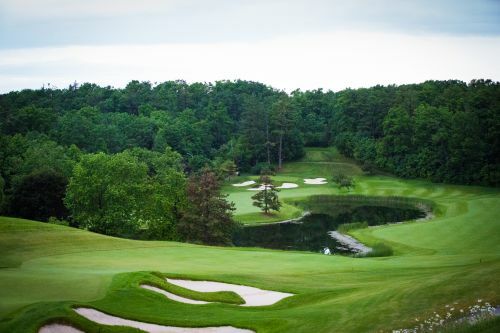 The surrounding Rouge River Valley is not only a beautiful vista, but it’s also the perfect setting for a large and sometimes challenging golf course. Originally founded in 1922, this award-winning golf course offers perfectly manicured putting services, interesting features, and challenging championship holes. It has played host to multiple LPGA, Canadian Tour, and GAO events. Cedar Brae is widely regarded as the best private club experience in Toronto, meaning that you’ll need to hold a membership to play there. The course does offer a trial membership so you can get a feel for the course before committing to a full membership. The National is easily one of the best golf courses in Canada, not just Toronto. The course widely revered by critics and golf greats such as Mike Weir and Lee Trevino. 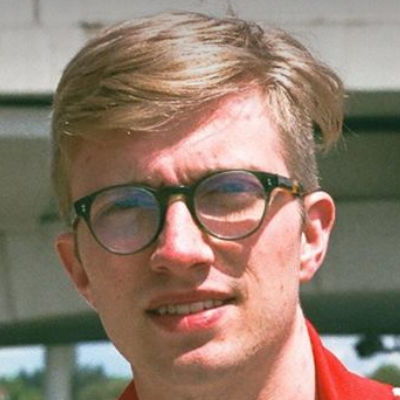 Being the best, also means being the most challenging, and the National is very good at being just that. The wide variation of topography makes for a variety of holes, with the course’s 4th hole, a difficult par 5, being listed as one of Golf Magazine’s Top 500 holes in the world. Still, the course is playable for all levels and can easily be walked, a testament to it’s design. The highly revered course has been praised by the Canadian Hall of Fame, The Globe and Mail, and Rolex World’s Top 1000 Golf Courses. Playing a round at the National is a prestigious privilege, so getting a tee time there won’t be easy. But since it is known as Canada’s best golf course, it deserves to be on this list. Located off the 407 in Brooklin, Ontario, Winchester Golf Club is an excellent choice for a budget-friendly round on a quality track. The 5800-yard course winds it’s way through the treelined valleys found just outside of Brooklin. Monday and Thursday nights, the course hosts a men’s league which is open to the public for registration. Ladies league is similar but takes place on Tuesdays. If you’re looking for a real escape from the city, Taboo Muskoka is the perfect destination. Located next to Lake Muskoka, this public golf course consistently rates among Canada’s top 100 golf courses. The panoramic views of Lake Muskoka and creative design that makes use of the Canadian Shield landscape gives Taboo a challenging quality that will captivate the imaginations of avid golfers. 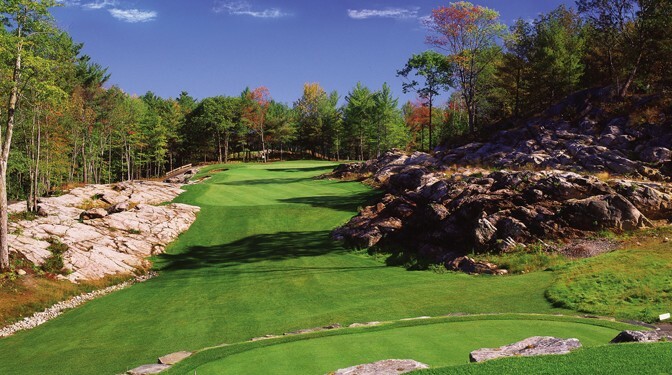 Taboo is the perfect excuse to get away to the Muskoka area, one of Canada’s most desired golf destinations. For the less seasoned golfer, Taboo also offers an easier 9 hole pitching course which is perfect for a shorter, family-friendly game. 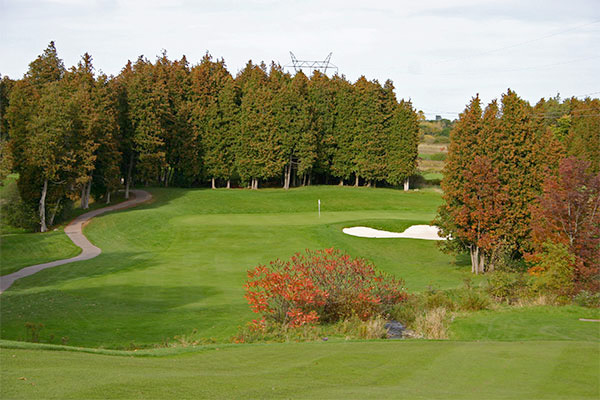 Osprey Valley boasts three distinct courses: Hoot, North, and Heartlands. 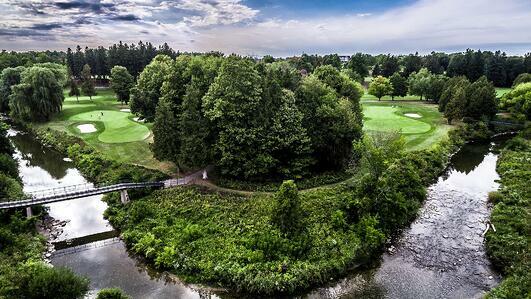 Located northwest of Toronto, this golf course should be on your list of public courses to play. The tournament level course often plays host to the Mackenzie Tour where up and coming pro’s compete to make the next step to the PGA Tour. 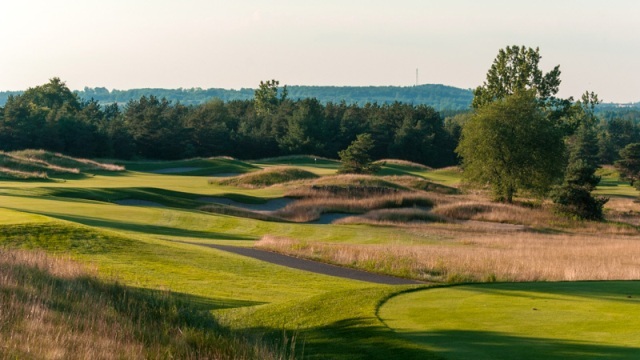 The course was recently acquired by the TPC Network, adding Osprey Valley to a roster of world-renowned courses. By our estimation, the TPC brand is enough to prove the course’s value as a high-quality operation and status as a challenging golf destination. 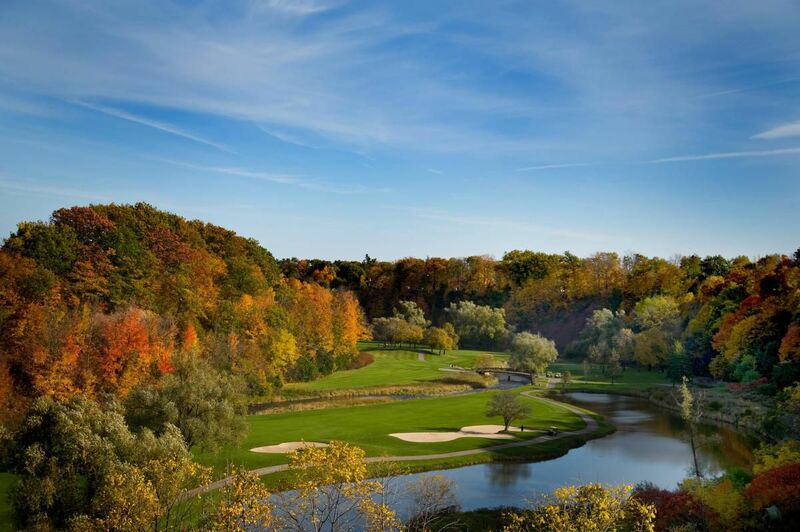 One of Toronto’s premier golf courses is Glen Abbey. The course is a regular host to the RBC Canadian Open and is headquarters to Golf Canada, the Canadian Golf Museum and Hall of Fame. The course was designed by legendary golfer Jack Nicklaus, guaranteeing its status as a top-level course and one of Canada’s best. Surprisingly, the course recently opened itself to public players. You don’t need to hold a ClubLink membership to play there anymore, so we highly recommend giving this pristine, tour quality course a try this summer. This dynamic golf course is a wonderful location to get a taste of Carolina’s lowlands in Toronto’s back yard. Rolling hills, meadows, and wetlands create a challenging landscape. The course offers both treeline and links-style play. Difficult greens with run-offs and ramps represent a wonderful challenge. The course is part of Canadian golf history as well. Mike Weir won the 1997 Canadian Masters before moving on to the PGA Tour. This course requires a ClubLInk membership to play. However, watch for member-for-a-day deals for your chance to play this beautiful course. What could be more Toronto than playing a round off the Don Valley Parkway, just outside of downtown? The City of Toronto owned municipal golf course is the perfect quick escape from a busy Toronto life. 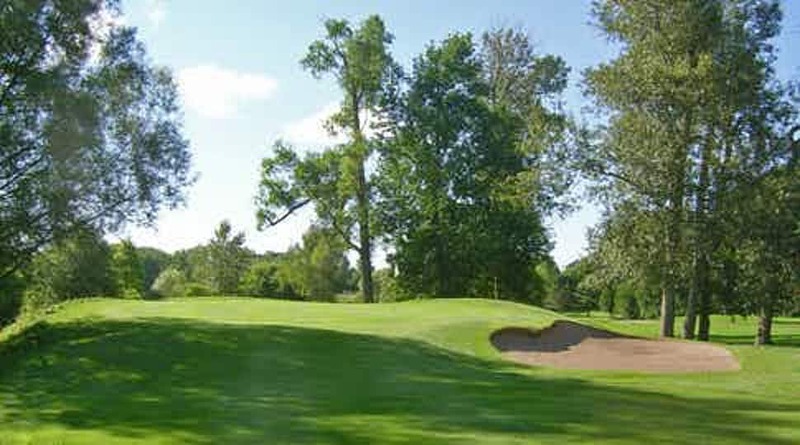 According to the city’s website, the course offers a traditional variety of holes and is well known for its natural setting in the Don Valley. It’s signature 12 hole, lovingly dubbed “Hallelujah Corner”, is a challenging Par 5 closely followed by an excellent Par 3. 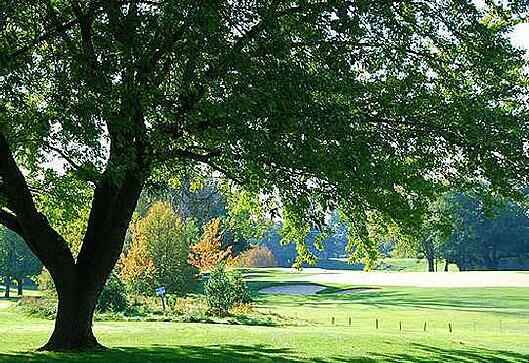 Lakeview is longstanding golf course in the Greater Toronto Area since 1907. 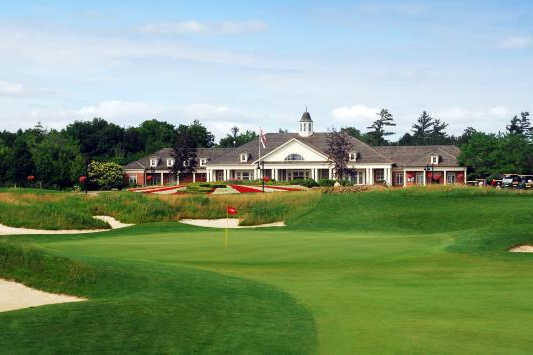 This two-time host of the Canadian open is an excellent option for a quality round of golf closer in to Toronto. The course is best known for its large sloping greens that challenge the golfer with interesting breaks. This public course is a designated Ontario Heritage site and can be best described as a hidden gem. 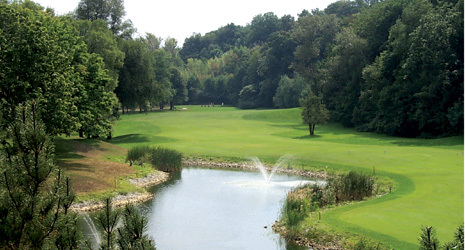 The course is located south of the QEW and is an easy drive from downtown Toronto.